The two Houses of Parliament enjoy a complex relationship as part of the Constitutional design, says Nirmalendu Bikash Rakshit. Followings the Constitutions of major countries of the world, we have created a bicameral Parliament consisting of two Houses – the Rajya Sabha and Lok Sabha. The Lok Sabha is directly elected and, hence, it is regarded as the First Chamber. Twelve members of the Rajya Sabha are nominated by the President and 238 of them are indirectly elected. So it is regarded as the Second House. When Parliament is bicameral, the distribution of powers between them becomes a complicated matter. While the Senate, the American second Chamber, is made more powerful than its counterpart, most of the countries have favoured the lower House. However, our Constitution has intended to strike a balance between them, though, ultimately, our Lok Sabha has been offered a preponderant position in some ways. It is true that in some important matters, both the Houses have equal power. For example, regarding the ordinary Bills, the two Houses enjoy equal authority. Such Bills can be raised in either House and if passed there, they are sent to the other House. When it is accepted there, it is referred to the President for his assent which makes it a law. Thus, such a Bill cannot be a law without the discussion in both the Houses. Regarding the impeachment of the President, the two Houses equally share power. Under Art. 61, the motion may be raised in either House and if it is accepted by the majority of its total members and also two-thirds of the members present and voting, it is sent to the other House. When the latter accepts it in the similar way, the President has to step down. In other words, neither of them can, unilaterally, oust him from the high office. Under Art. 368, no amendment of the Constitution is possible unless two Houses agree on it. In other words, such a Bill must be passed by both the Houses. Similarly, equal power has been given to them regarding the approval of Emergency provisions. The President can promulgate Emergency in three cases – national crisis, Constitutional breakdown and financial deadlock (Art. 352, Art. 356 and Art. 360). But the Presidential proclamation must be accepted by both the Houses. Under Art. 54, the two Houses equally take part in the Presidential election. Similarly, Art. 66 states that they form an ‘electoral college’ in order to choose the Vice-President. Last, but not the least, the Rajya Sabha can pass a resolution to drive out the Vice-President, but it requires the approval of the other House (Art. 67-b). However, the Rajya Sabha has been given exclusive power in three matters. Normally, the state legislature makes laws on matters enumerated in the state list. But, according to Art. 249, the Rajya Sabha can authorise the Centre to deal with any of them in the greater interests of the nation. Under Art. 67(b), Rajya Sabha may pass a resolution to remove the Vice- President. But, the Lok Sabha cannot, of its own right, raise such an issue. The Rajya Sabha has the exclusive authority to create any All-India Service. But, significantly, the Lok Sabha has been denied such power. But, in some crucial matters the Lok Sabha has far superior authority. They may be mentioned below. The Rajya Sabha can hardly regulate the tenure of the Cabinet because, according to Art. 75(3), the former is ‘responsible’ to the Lok Sabha. Of course, the former can criticise and condemn it for its follies. But, it can, by no means, pull it down. The Lok Sabha enjoys actual power regarding the Money Bill. It is the Speaker of this House who decides whether a Bill is a Money Bill or not. Moreover, such a Bill can be initiated in the Lok Sabha alone. But the most important point is that when it is passed, it is sent to the Rajya Sabha and whether the latter accepts it or not, it is placed before the President after 14 days for his assent. This, the position of the Rajya Sabha in this matter is decidedly insignificant. As stated earlier, with regard to the ordinary Bills, they have equal authority. In case of their difference, a joint sitting is convened. 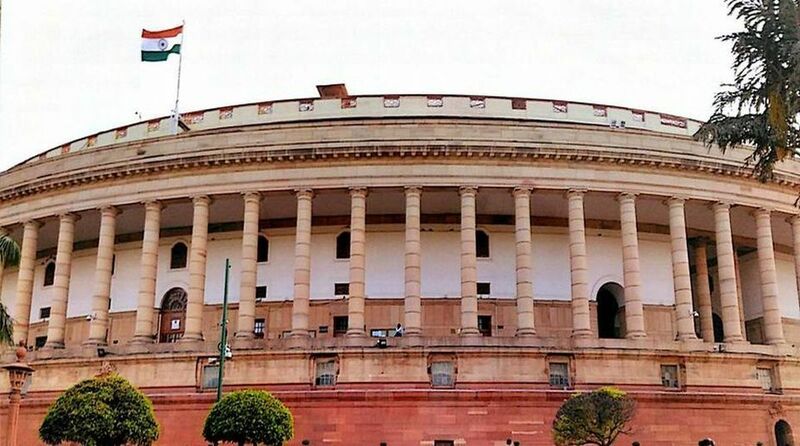 But as the total membership of the Rajya Sabha is less than even half of the total strength of the other House, the stand of the latter is likely to prevail in it. The Lok Sabha has, indirectly, a better opportunity to send the Prime Minister. Of course, a member of the Rajya Sabha can legally be chosen for this office and Indira Gandhi (in 1966), Manmohan Singh, and some others held the office from it in different times. But, most of our Prime Ministers have come up from the Lok Sabha. Jawaharlal Nehru, as a member of the Lok Sabha, thrice held the office. Indira Gandhi became the Premier in 1966 from the Rajya Sabha but, thereafter, she twice took this chair as a member of the Lok Sabha. In fact, most of the Prime Ministers such as Morarji Desai, Charan Singh, VP Singh, Chandra Shekhar, P V Narasimha Rao and Narendra Modi emanated from this House. It reminds us of a British convention. When, in 1923, Bonar Law, the British PM, resigned, Lord Curzon and Stanley Baldwin had their eyes on the coveted office. Though the claim of Lord Curzon was preponderant, King George V sent for the latter as he belonged to the popular chamber. Since then, a convention began to grow in favour of the commoner. However, in 1963, Lord Home was chosen for the office – but he relinquished his lordship and became a commoner. Thereafter, no Lord has even been offered the office. Though such abiding convention has not yet crystalised in India, a member of the first Chamber is, normally preferred for this office. It seems that the British convention is slowly taking shape in India. Such an analysis makes it crystal clear that the Lok Sabha surely enjoys a better position and greater power than its counterpart. Of course, the Constitution has not, by any means, made the Rajya Sabha a powerless entity. But, in some crucial matters, the other House enjoys a superior authority. From such a point of view, the Rajya Sabha is definitely a weak partner of the Lok Sabha. It is not only the second, but also the secondary Chamber. However, once Nehru observed that it is not proper to call them as ‘Upper House’ and ‘Lower House’, because neither of them is Constitutionally neglected or belittled. In his view, they are as two sides of a coin. Of course, there has been a marked tendency to introduce into the Rajya Sabha a larger number of Bills in order to enhance its importance. Sometimes, it sought to assert itself against the Lok Sabha with a view to becoming its rival. However, the latter reacted very strongly against such attempts. But, however much we try to make such a body a powerful institution, it is difficult in a democratic system to give it similar power as the elected counterpart. As the Chamber of Elders, it may have an advisory and corrective role of great importance. But, in accordance with the basic principles of the democratic system, the elected Chamber is sure to dominate the field. The writer is a Griffith Prizeman and Reader, New Alipore College, Kolkata.